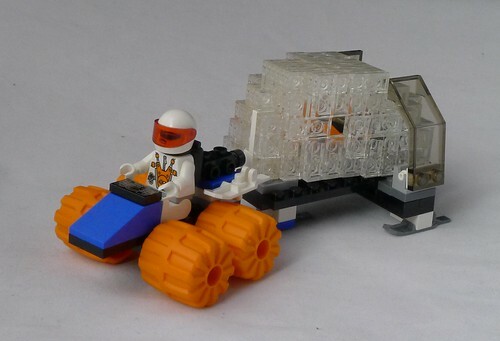 My favorite part of the build is this little vehicle transporting an alien encased in ice. 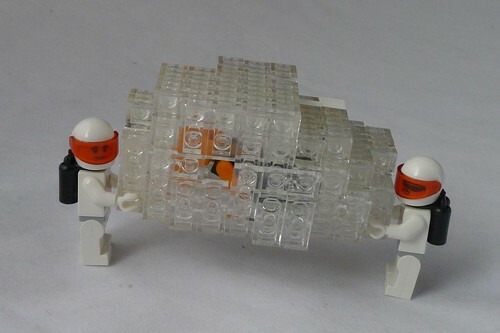 The vehicle itself is blatantly copied from the old official LEGO set (though with some color modifications to accommodate the parts that I have). 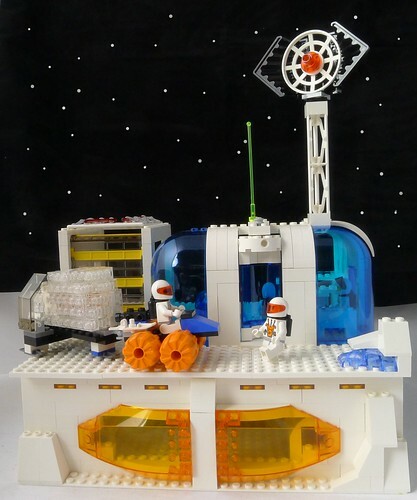 The ice block is made up a whole bunch of 1×2 trans plates, and is inspired by one of my favorite pictures from an old LEGO catalog. I also included a couple of play features, namely an elevator (it doesn’t work very well though :P) and a rotating door. Here’s a couple of shots of the interior. I’m not sure what the round thing in the middle is supposed to be, but I guess it was inspired by the warp core as seen in Star Trek: Voyager (been watching a lot of that lately :P), although a warp core doesn’t make sens in a stationary base… So lets just say it’s some heating/energy thingy 😛 It’s sci-fi! I like the ice sculpture with the embedded alien. 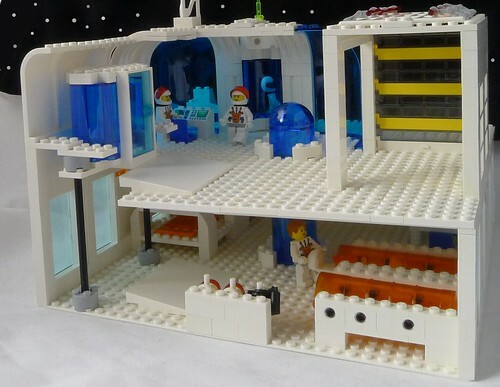 I have a question about that – are all the pieces in that block facing the same direction, or did you use headlight bricks (or any of the multi-directional bricks) in any way? No, they all face the same direction. And it’s only made up of 1×2 plates, mostly trans clear, but a few white ones in there too. Thanks for the prompt reply. Yesterday got the Lego XXL 5512 in Canada – lots of pieces but not these trans. 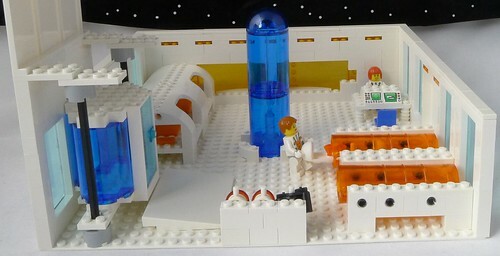 Have to visit the Lego store in Dec to see if they get some of these pieces! I have a lot of trans 1×1 but those aren’t any good for this.